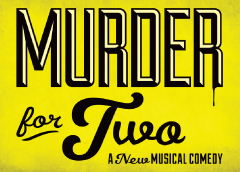 A zany blend of classic musical comedy and madcap mystery, this tuneful whodunit is a highly theatrical duet loaded with killer laughs. In this hilarious 90-minute show, one performer plays the detective and the second actor plays all 12 suspects. And they both play the piano! It’s a witty and winking homage to old-fashioned murder mysteries. ERIC SHOREY (The Suspects) Eric is thrilled to make his Depot Theatre debut. National/International Tours: Chitty Chitty Bang Bang; Guys & Dolls; West Side Story; Cats; Disney On Classic. New York: Wonderful Town (MusicalsTonight!). Regional Theatre: Arena Stage, Paper Mill Playhouse, Goodspeed Opera House, North Shore Music Theatre, Denver Center, Maine State, Cape Playhouse, Kansas City Starlight, Alabama Shakespeare Festival. TV: Last Week Tonight With John Oliver. www.EricShoreyNYC.com. EVAN PAPPAS (Director) is pleased to be returning to The Depot Theatre where he directed My Way. Off-Bway: Liberty, Wonderful Town. What Will People Think?Regionally; Evita , West Side Story, The Daughter of the Regiment (Opera North), 7 Brides for 7 Brothers (SF Critics Best Production Award, and Director nom), Funny Girl (SF Critics Director nom). Some Place Like Home (Best Director Award Soundbites Festival, NYC), Lucky Stiff (Arizona Broadway Theatre), Carousel and A Man of No Importance (Montclair State Univ), West Side Story (Santa Fe College), Broadway Babes (Covent Garden), Assoc. Dir. on Being Sellers (59E59),Moscow (Samuel French One-Act Festival), Parallel Lives (Theatre for the New City), Daily Sounds (Finalist in Strawberry Festival), etc. As an actor he has starred on and off-Broadway in My Favorite Year, Parade, Putting It Together, A Chorus Line, I Can Get It For You Wholesale, Café Society Swing, etc., and in London’s West End in Follies and Merrily We Roll Along. RAFI LEVAVY (Stage Manager) Rafi’s Off-Broadway credits include The Velveteen Rabbit, The JAP Show, Confessions of an Irish Rebel (Irish Arts Center), Young Playwrights Festival, Lifegame, Tony n’ Tina’s Wedding, Stop Kiss (Public),Mizlansky/Zilinsky or ‘Shmucks’, Psychopathia Sexualis (both Manhattan Theatre Club), Life Is A Dream (Pearl), Lonely Planet, The Professional, The Truth Teller (all Circle Rep) and Das Barbecü. 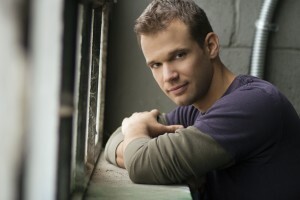 Regionally, Rafi has worked at Lincoln Center Theatre, Lyric Stage Company of Boston, Foothills Theatre Company, New Repertory Theatre, The Miniature Theatre of Chester, Centenary Stage Company, Barter Theater, Northern Stage, PCPA Theaterfest, Helen Hayes Performing Arts Center, Maine State Music Theatre and Paper Mill Playhouse. 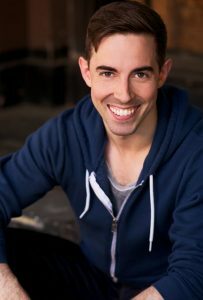 Additionally, Rafi has worked for Jim Henson Productions, Walt Disney Theatrical Productions, and has stage managed clown school and shows for the NY Musical Theater Festival. A proud member of Equity, Rafi holds a degree in computer science from Brandeis University. BONNIE BREWER (Scenic Designer) has been working the professional theatre circuit for more than a quarter of a century. Professional Stage Manager & Company Member at Pendragon Theatre since 1990, she is also a Director of more than 20 shows, and has shared her talents in designing sound, lights and creating props for close to 150 productions throughout upstate NY. She has even had the occasion to make a few rare on-stage guest appearances – sometimes on purpose, other times out of necessity. Recently she found herself teching two shows simultaneously on opposite sides of the mountains: Man of La Mancha at Pendragon, and My Way at The Depot. MARGARET SWICK (Lighting Designer) is happy to be returning for her third season at the Depot Theatre. While exploring options at Plattsburgh State, she decided to become a lighting designer. Since graduation, Margaret has been doing local theatre throughout the North Country as well as freelancing with I.A.T.S.E. Local 919 in Vermont. JIM CARROLL (Sound Designer) Jim’s love of technical theatre that started when he was in Middle School. Challenging a severe case of stage fright, he made his acting debut as Audrey II in Little Shop of Horrors for Essex Theatre Company in 2005. Jim has been Technical Director or provided support for over 150 shows since 1998 with various local and community theatres. He can occasionally be seen on the Discovery and Travel Channels talking about his sightings of Champ. Jim and his family run ShipStore.com and Westport Marina. In addition, he creates memories with OvertimePhotoBooth.com. Jim is a new member of the Board of Trustees for the Depot Theatre and continues his work with the Boquet River Theatre Festival, the NYS Theatre Education Association and as a member of the Westport Central School Board of Education. The Depot Theatre is a non-profit, professional theatre located in a historic, functioning 1876 train station in Westport, N.Y., and operates under an agreement with Actors’ Equity Association, the Union of Professional Actors and Stage Managers in the United States. In addition to its volunteer board of trustees, the theatre depends on the support and generosity of its loyal donors, volunteers and community members. 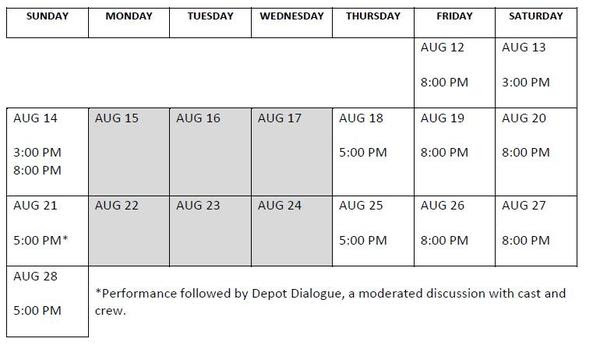 Committed to promoting and providing exposure to the performing arts in the Adirondacks, the Depot Theatre invites all to “Take a journey without leaving the station.” The Depot Theatre’s 2016 Season is made possible by the New York State Council on the Arts with the support of Governor Andrew Cuomo and the New York State Legislature. All Aboard for 2017! Season Sneak Peek!